Toyota paintwork care products are easy to use and offer a convenient way of repairing minor damage. Stone-chipped paintwork and accidental scratches happen all too often on today’s busy roads and in crowded car parks. Unfortunately, even a small blemish can develop into a bigger problem if left untreated. Toyota paintwork care products provide the solution. They are easy to use and offer a convenient way of repairing minor damage. 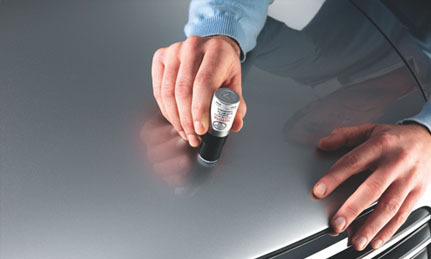 Toyota StickerFixare stick-on-peel-off paint patches for repairing minor scratches and stone-chip damage. They are a simple, cost-effective alternative to costly re-painting or bodywork. Easy to use. Simply clean the damage then apply the StickerFix patch. 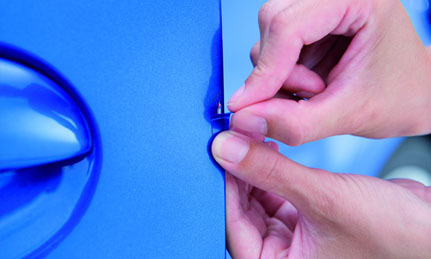 Remove the adhesive backing film to leave a high quality repair. High quality. High-tech system using flexible adhesive film coated with Toyota approved paint. Choose your colour. Available in a wide range of Toyota car colours. Cost-effective. An alternative to costly re-painting or bodywork. Safe for the environment. Save resources and kind to the environment. 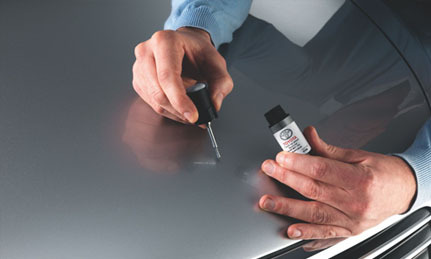 The quick and easy way to restore paintwork damaged by small accidental scratches. Two-part process produces a durable, professional finish. Fast drying (10 minute) water-based paint pencil to treat the damage. Fast drying (20 minute) clear coat to seal the repair. Fully hardened for polishing after just 48 hours. An easy to use home system for repairing larger paintwork scuffs and scrapes. Spray-on base coat to restore the paintwork colour damage. Spray-on clear coat to seal the repair and leave a resilient finish. Available for all current Toyota car colours.